Visit the Lloyds auction house or bid online for this sale. Are you a ‘green thumb’ or do you renovate properties? You need to get on board with Lloyds Auctions. We have everything you might need for house, home and garden all under the hammer. 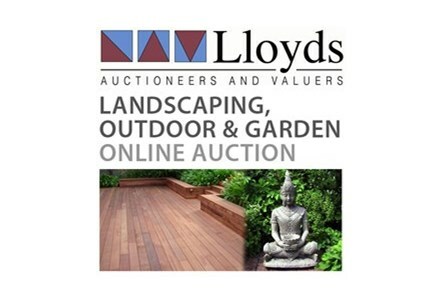 We have so much for sale at Lloyds Auctions when it comes to home and gardening supplies. You can quickly and easily bid on the website for everything from landscaping equipment to garden pots online, or you can visit us at our handy Gold Coast location. What are you wanting your home? Let’s face it – there’s usually something you’ll need! It might be some cushions or it might be some carpet. Perhaps your iron has packed it in? Or, maybe your parents have come to stay unexpectedly? Futon required, STAT! Why pay full price when you can potentially win the bid and get pretty much the same as what’s at the shop – only a whole lot cheaper? 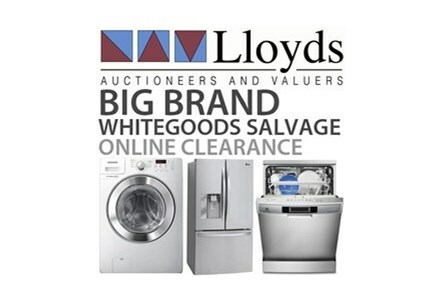 If you’re looking to buy cheap kitchen appliances, Lloyds allow you to buy white goods and appliances online. Regular stock also includes discount or cheap online furniture and lounges, bedding, rugs and floor coverings, children’s furniture, prams and toys. You’ll feel like your house is straight from Better Homes and Gardens with the brilliant visual results that quality items at cheaper prices can produce. Did you know that at Lloyds Auctions we have plants for sale? It doesn’t matter if it’s a ‘Fig’ or a ‘Ficus’, you can find it at Lloyds Auctions. We source a diverse range of trees, flowers, shrubs and seedlings. So, you never know what might be able to find a place in your garden next. If you love plants, then you will love us. We also acquire landscaping equipment, building material and timber. Maybe you have a pergola in mind? Or, you need to fix the stairs? We have so many garden and outdoor items for sale. Bidding at Lloyds Auctions is so easy and you never know what you might find next. Will it be a BBQ, a picnic table or maybe a garden gnome? Whatever it is that you have your eye on – happy bidding!